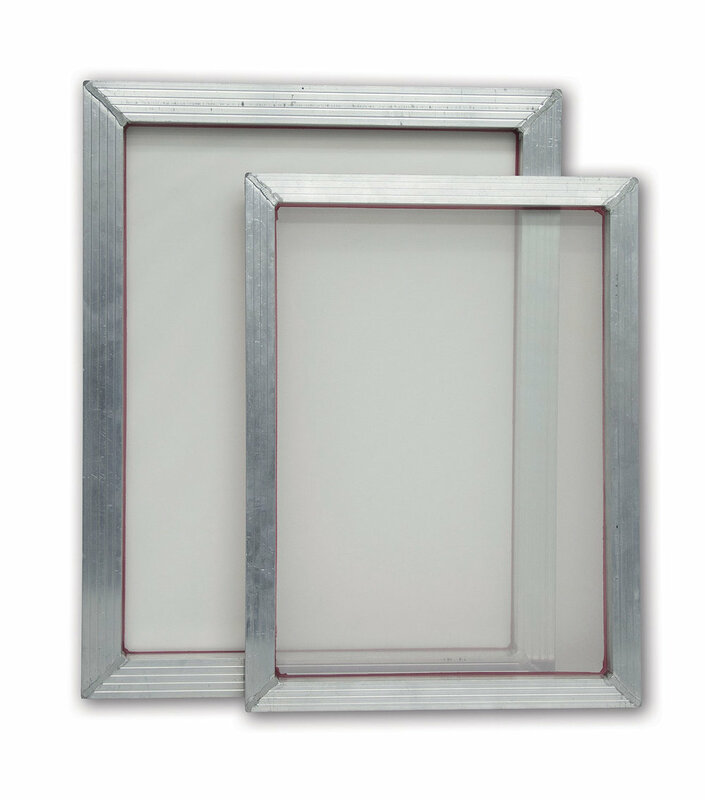 Jacquard’s pre-stretched aluminum screen printing frames are cut and welded by hand and each weld carefully sanded smooth. Watertight, perfectly flat and precisely stretched, the white 110 mesh is evenly taut and adhered to the frame with the most durable glue. Jacquard’s screens are strong and durable yet lightweight and economical, made from top quality 20 mm x 30 mm x 1 mm hollow aluminum-allow stock. The dimensions given (10" x 14" and 12" x 16") are inner dimensions, because when it comes to designing and printing, those are the ones that count!